There’s a new rising star in the country music world. His name is Paul Knackk. And this summer Knakk will make his first impact with his debut EP Rebel With A Cause. In anticipation of its release Knakk has premiered the EP’s lead single online. Paul Knakk debuted ‘Boots,’ the lead single from his debut EP Rebel With A Cause this week. The song premiered online via National Country Review. Veteran musician/performer Rich Robinson will release his latest album this summer. The album, Flux, will be his fourth full length studio recording and eighth overall recording. It will be released Friday, June 24th in stores and online. While audiences wait for its release, Robinson has given them more than a little something to pass the time in the form of four re-issues. Robinson teamed up with Eagle Rock Entertainment this year to re-issue four of his previous recordings. Two of those recordings—Paper and Llama Blues—were released this past February. The other two—Woodstock Sessions Vol. 3 and Through a Crooked Sun—were released earlier this month. Each of the recordings stands out in its own special way and in turn serves as its own welcome introduction to Robinson the solo artist versus Robinson the former Black Crowes member. This is just as evident in Robinson’s 2011 album Through A Crooked Sun as in his other recent re-issues. Robinson even notes in the liner notes of the album’s new re-issue that it shows a completely different side of him than what he was able to show as a member of Black Crowes. That is clear right from the album’s opener ‘Gone Away.’ The song, driven largely by drummer Joe Magistro’s four-on-the-floor, exhibits a number of influences. That will be discussed shortly. ‘Hey Fear’ is another of the album’s offerings that stands out in this album. Its reserved sound and equally introspective lyrics team up to make it one of the album’s most poignant and powerful moments. The southern ground sound of ‘Falling Again’ makes that song stand out in its own way, too. What listeners will note about each of these songs is just how much each song stands out from the other in terms of Robinson and company’s stylistic approach to each composition. That applies just as much in the album’s other compositions as with the pieces noted here. 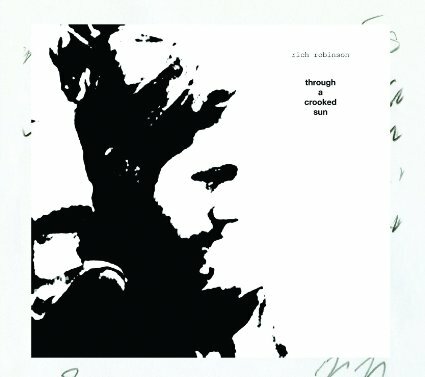 All things considered Eagle Rock Entertainment’s re-issue of Rich Robinson’s Through A Crooked Sun is not only a great listen for Robinson’s fans and fans of Black Crowes but also another good addition to any critic’s list of the year’s top new CD re-issues. Eagle Rock Entertainment’s re-issue of Rich Robinson’s 2011 album Through A Crooked Sun is not the only of his records to be re-issued lately. As a matter of fact it is the fourth of his recordings to be re-issued in recent months. It is just as welcome as those other re-issues in any of his fans’ music libraries. Not only that but it is also yet another of this year’s top new CD re-issues. The reason being that the album in whole does in fact reflect a side of Robinson that was rarely ever heard in his work with Black Crowes. That is evident right off the top in the album’s opener ‘Gone Away.’ This song is a clear example of what makes Through A Crooked Sun stand out in large part due to its musical arrangement. It could just be this critic’s own take but at least to this critic it hints at a Beatles influence circa Sgt. Pepper’s Lonely Hearts Club Band with its guitar line and solid, driving four-on-the-floor drum line. At the same time one could also argue that that same sound hints at an influence from the likes of Phish and Widespread Panic. Its lyrical content makes it just as intriguing. Robinson sings here, “I fell the distance of the deepest canyon/It took me years to climb back to the top/And now I see the plains right in front of me/I hope to take it all the way to the sea.” He goes on to sing in the song’s chorus, “It seems like everything’s gone away now.” This statement seems to be in regards to what the song’s subject sees as he traverses the once familiar landscape. He goes on to sing in the song’s second verse, “ I feel the comet coming/To take us to a new world/Like a child/Walk a cliff at noon/With new ways unlike this world’s never seen/I hope to last to see it viewed pristine.” Now, if that is indeed the proper interpretation of the verse without lyrics to go by, then it is just as thought-provoking as the song’s opening verse. And again he proceeds to repeat the song’s chorus again, noting that everything familiar has gone away. Again that response to the song’s verse comes across as a commentary of how much things have changed in the world. Except in this case the reference comes across as being more of a social commentary than just in general. That is, again, just this critic’s own take on Robinson’s lyrical content here. The song’s final verse is just as likely to catch listeners’ ears and get them thinking. Together with the song’s other lyrical content and its musical content, the whole of the composition shows why it is one of the album’s most notable offerings. It is not the only piece that stands out on this record. ‘Hey Fear’ stands out just as much. ‘Gone Away’ is an interesting addition to Rich Robinson’s first full-length solo studio recording. It is not the only notable offering. ‘Hey Fear’ is another of the album’s most notable inclusions. As with ‘Gone Away’ this song is worth noting because of its own musical and lyrical content. In regards to its musical content, said content is so notable because it is the polar opposite of that in the album’s opener. Whereas that song had a more classic rock-oriented sound, this piece boasts more of a folksy, Americana sort of sound. That’s just the tip of the song’s proverbial musical iceberg. A close listen reveals elements within the song’s instrumentation that stand out in each part. For instance, the drums here don’t sound nearly as open as in ‘Gone Away.’ That is the case even as the song builds into its final minutes. They cut through in those final minutes. But they never have that more airy sound that is evident in the album’s opener. Just as interesting to note here is the prominence of the song’s bass line. There are sections within the song in which Robinson’s bass line (Robinson covers both the guitar and bass line in this song)presents its own surprise melody. It’s subtle, too; so subtle in fact that it will take listeners a few times to fully realize what they are hearing. When they do, they will most assuredly appreciate its balance with the rest of the song’s instrumentation. Even the manner in which the song gradually builds from its acoustic to its more bombastic electric side stands out. Whether through these elements or any of the others within the song’s musical content, it can be said of the song’s musical content in whole that it does more than its part in making this song stand out. The song’s musical arrangement and instrumentation is just one part of what makes the song stand out. Its lyrical content is just as notable. In regards to its lyrical content Robinson sings here of overcoming the fear that so easily cripples so many people, possibly including himself. That is clear as he sings, “Hey there, fear/You’re always in tow/Never too far behind/Your presence is always known/Will you live to carry on/Living underneath my wing/Will you finally move along/Watch the distance come between/Hey fear/Hey fear/Time to finally move along/Watching distance grow between.” This is the song’s subject (or Robinson himself) addressing the fears that have crippled himself (or herself) and saying in no uncertain terms that he/she will not let it control him/her anymore. The victory over that fear is illustrated especially well as Robinson, [Joe] Magistro, and [Steve] Molitz build the song to the wide open, bombastic sound presented in its ending minutes. It’s one more way in which this song stands out. Together with the song’s musical content, both elements combine to make it one more of the album’s most notable inclusions because it is also one of the album’s most emotionally powerful and engaging opuses. It still is not the last of the album’s most notable tracks. ‘Falling Again’ is another piece that proves the overall importance of this album. ‘Gone Away’ and ‘Hey Fear’ are both important inclusions to Through A Crooked Sun in their own right. One mixes elements of rock’s golden era with a more modern classic sound and crosses it with some rather insightful lyrics. The other offers its own insightful lyrics and matches said lyrics with some notably powerful musical content. The two songs together form their own solid foundation for the re-issue of Rich Robinson’s debut solo record. As important as they are to this record they are not its only notable compositions. ‘Falling Again’ is just as important to the album as the noted songs and those not noted here. It stands out because once again it presents Robinson’s broad musical talents and influences. This song is pure southern rock with elements of Lynyrd Skynyrd, Molly Hatchet, and others of that ilk in terms of its musical content. That sound, which differs from anything else on this record is only pat of what makes the song stand out. Its lyrical content is just as important to note as its music. Robinson sings in the song’s lead verse, “I hear you falling again/And you’re brining me down/But that’s not where I’m going/There’s no one around you this time/But you haven’t noticed yet/When you do/Will you speak softly/It’s time that I’m rollin’/No bringin’ me down/The news I’ve been hearin’/It’s all over town/Tales of a sad man/Who doesn’t know he’s out/Spend his time a’ reelin’/In a world of doubt.” This, again, is only this critic’s interpretation of this song. But it comes across as if Robinson is commenting on all of the world’s negativity both in the things people say every day to one another and to the news in today’s 24/7 news cycle. He comes across as saying he’s so tired of it and doesn’t want to fall down with all of that negativity. If indeed that is the case then it’s a deep statement made in a very small amount of space. To that extent, Richardson deserves a round of applause. He goes on to sing in the song’s second verse, “Back when you told me a lie/Do you realize/You were lookin’ straight in the mirror/Far be it from me to explain/What you’re doing now/Go on and on forever.” From here he returns to the song’s chorus. That second verse seems rather self explanatory. It is a commentary about people lying to themselves when they attempt to lie to others. An again, the song’s chorus drives home the message of the song’s subject trying to get away from all of that because it is only serving to make a person’s world fall down around him/her. It is yet another topic to which any listener can relate. And Robinson’s gentle delivery of these lines—believe it or not—actually heightens the impact of the song’s lyrical subject matter that much more. Keeping this in mind the combination of that vocal delivery, the song’s thoughtful lyrics, and its equally enjoyable musical foundation makes clear why this song stands out as one more of the album’s most notable compositions. When the song is set against the other pieces noted here, and the pieces not noted, the record in whole shows with full clarity just why it is another welcome addition to the personal music libraries of Robinson’s fans and also why it is one more of this year’s top new CD re-issues. Whitechapel has a new album on the way. The Tennessee-based death metal band announced this week that it will release its sixth full-length studio recording this summer. 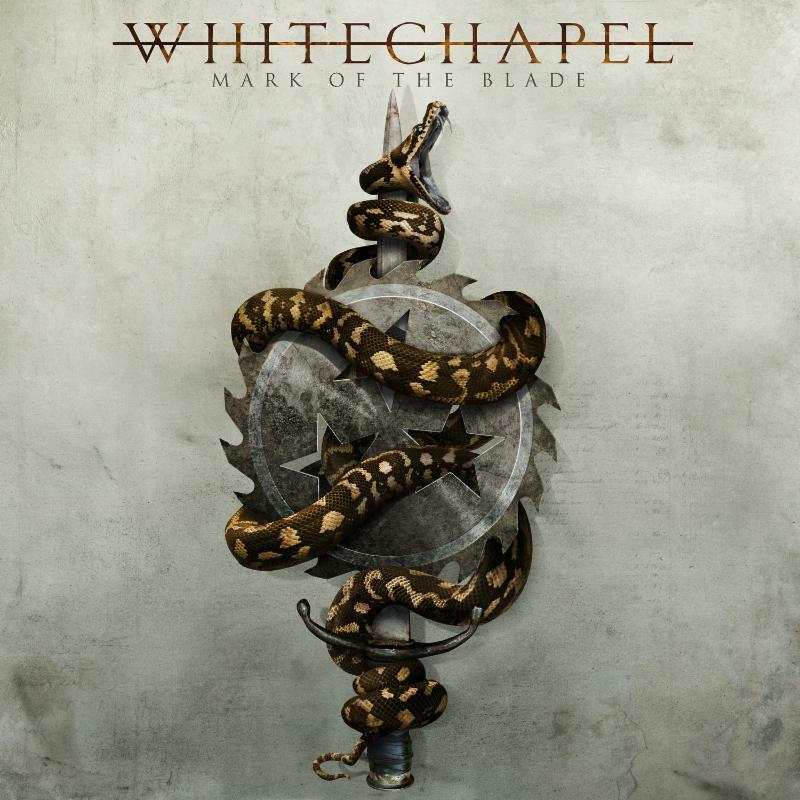 Mark of the Blade will be released in stores and online on Friday, June 24th. The album will be released worldwide via Metal Blade Records. In anticipation of its release, the band has unveiled the lyric video for the album’s lead single, which is also its title track. The video is currently streaming online via the band’s page at Metal Blade Records’ website. Mark Lewis (The Black Dahlia Murder, Cannibal Corpse) manned the boards for the 11-song record. It is not the first time that he has worked with the band. He also helmed the band’s self-titled 2012 album and its follow-up, 2014’s This Endless War. Guitarist Alex Wade discussed the changes that listeners can expect from the band this time out with the press, noting the dynamic contrast of the songs and the role of the band members’ personal growth in the album’s sound. “It’s the most dynamic record we’ve done, in the sense that one song can be very aggressive while the next one will be softer and sentimental,” he said. “At this point in our career and as we grow older, we are taking a more open-minded approach to creating our music, allowing what we think sounds good to evolve naturally, rather than to just write what is expected of us.” The album’s complete track list is noted below. Whitechapel will hit the road this summer in support of Mark of the Blade beginning May 4th in Fayetteville, AR and currently ends on May 22nd. Fit For A King, The Plot in You, and Enterprise Earth. After it wraps that tour, it will take some time off before joining up on the annual Van’s Warped Tour beginning June 24th in Dallas, TX. The band’s run on the Warped Tour goes through August 13th in Portland, Oregon. Both tour schedules are noted below. Paul Stanley and Ace Frehley are back together. The former KISS band mates teamed up recently to film the video for the song ‘Fire and Water.’ The song, which is a cover of Free’s hit 1970 song, is taken from Frehley’s new covers album Origins Vol. 1. The video was premiered this week exclusively via VEVO. 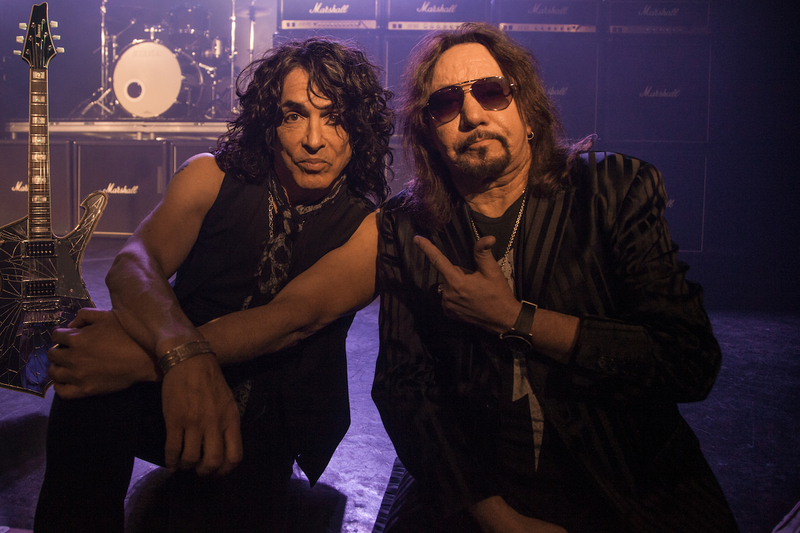 It marks the first time in 18 years that Frehley and Stanley worked together on a music video. The last time that the pair worked together on a music video was for the title track from KISS’ 1998 album Psycho Circus. It also marks the first time in 14 years have even performed together on stage. The last time that they shared the stage was in 2002 at the Olympic Winter Games. What’s more, it marks Frehley’s first music video since releasing the video for his cover of ‘Do Ya.’ That song was also covered by The Move and ELO. Considering Frehley’s comments on working with Stanley on his new video, one must assume that the differences between the musicians are now water under the bridge. “It was great working with Paul again and all the years we’ve spent apart doing other projects seemed to vanish once we hit the stage!,“ he said. Origins Vol. 1 is the follow-up to Frehley’s 2014 album Space Invader. That album debuted at #9 on Billboard’s Top 200 upon it’s relase. Origins Vol. 1 has made a big splash both with audiences and on the charts since its release earlier this month. It sold more than 16,000 copies nationwide in its first week in stores. Earlier this week it reached the #1 spot on Billboard’s Hard Music Chart, #3 on the magazine’s Rock Chart, and #6 on its Current Chart. Its numbers internationally were just as big. It reached #2 on Sweden’s Hard Rock Chart and #05 on the England Indie Album Breakers Chart. ESPN’s MLB broadcast schedule for this week has official been released. And it’s going to be another busy one. 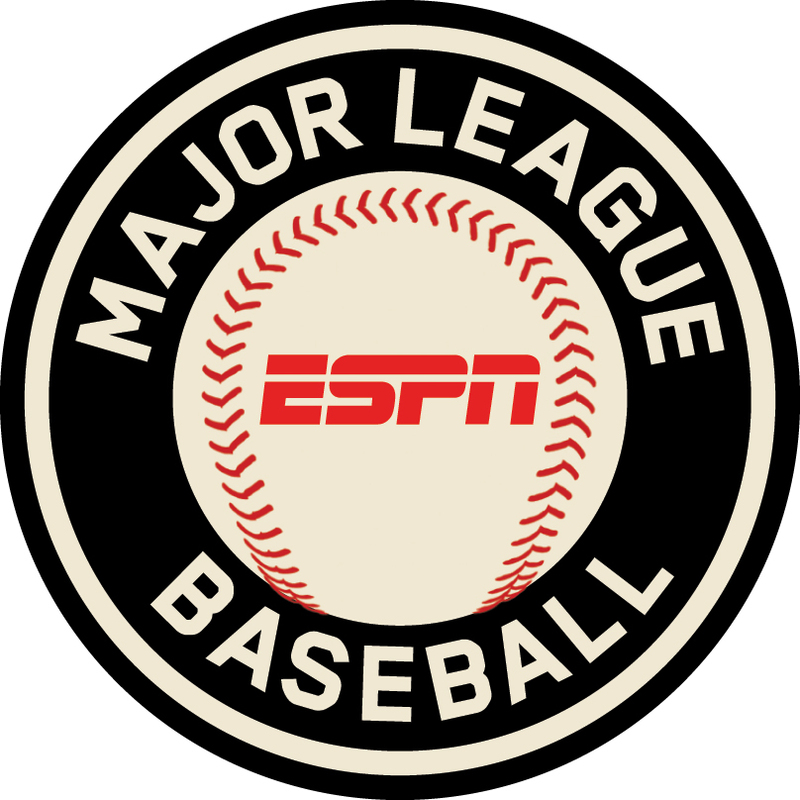 It all begins tonight on ESPN and ESPN Deportes with an American League showdown between two teams that are struggling to get some footing right now early in the season. Tonight on ESPN’s Wednesday Night Baseball presented by Hankook Tire the Texas play host to the New York Yankees live at Globe Life Park in Arlington, Texas. The game is the rubber match in the teams’ three-game series, which began Monday. The Yankees took Game 1 3 – 1. But the Rangers didn’t stay down after that loss. They stormed back Tuesday night, routing the Yankees 10 – 1. CC Sabathia is expected to start for the “Pinstripers” in tonight’s game. He is currently 1 – 1 so far on the season with his last start being on April 16th against Seattle. Sabathia took the loss in that game. He pitched a little more than four innings in the game, allowing 3 runs on 7 hits and 3 earned runs. He struck out five of the 22 batters that he faced in that time, though walking only 1 batter and allowing only 1 home run. The rest of the Yankees’ dugout picked up the slack, keeping the Mariners’ bats relatively silent, allowing only 3 hits and striking out 8 total batters. Along the way they allowed no walks, home runs, earned runs, or runs. Martin Perez will get the start for the Rangers in tonight’s game. Perez has struggled just as much as Sabathia this season, going winless in two starts. His last time on the mound was last Friday, April 22nd against the Chicago White Sox. Perez pitched 5.2 innings in the game, allowing 5 runs on 5 hits, and 5 earned runs. He walked two and struck out just as many. To the positive, of the 24 batters that he faced in the game, he prevented any of them from knocking one out of the park. Needless to say he will be looking to bounce back just as much as Sabathia when New York and Texas round out their series. In the bigger picture, both teams will have plenty more to play for tonight than just the series win. The Yankees sit at the bottom of the AL East standing at 8 – 11. On the other hand, Texas is 11- 10 so far on the season, only one game over .500. The Rangers are 7 – 4 at home so far this season while the Yankees are 3 – 4 on the road. New York is 4 – 6 in its last 10 games while Texas is 5 – 5. So the odds would seem to be more in the Rangers’ favor for tonight’s game. The countdown to the 2016 – 2017 NFL season officially begins this week. It all begins Thursday with the annual NFL draft. And ESPN will have full coverage of this year’s draft. 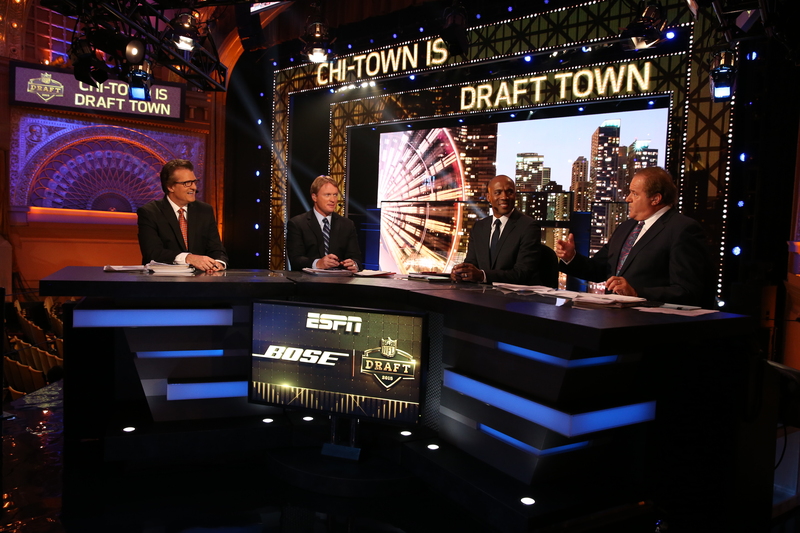 ESPN launches its coverage of the 2016 NFL draft Thursday night at 8pm ET live from Chicago’s Auditorium Theatre of Roosevelt University. ESPN will carry Round one with limited commercial interruption for the fifth consecutive year when it begins Thursday night. It will be simulcast live on ESPN Radio nationwide. Before the network’s coverage begins, it will air a special pre-draft SportsCenter broadcast at 7pm ET that looks forward not only to the first round of the draft but all seven rounds. Speaking of those other rounds, ESPN will carry coverage of Rounds 2 and 3 live Friday evening beginning at 7pm ET from the Auditorium Theatre live on ESPN, ESPN2, and ESPNRadio. Rounds 4 – 7 will be covered live Saturday beginning at noon eastern. ESPN will carry coverage of Rounds 4 – 7 live from Chicago’s Grant Park. Chris Berman will anchor ESPN’s broadcast of the draft’s first round Thursday evening. He will be joined at the desk by veteran NFL Draft Analyst Mel Kiper, Jr., ESPN Monday Night Football analyst and Super Bowl-winning head coach Jon Gruden, and NFL Front Office Insider Louis Riddick. Fellow NFL Insider Adam Schefter will be on hand along with NFL host Suzy Kolber, and a team of NFL reporters from team sites with all of the latest news throughout the first round. Trey Wingo will anchor ESPN’s coverage of Rounds 2 – 7 over the weekend. He will be joined by Mel Kiper, Jr., NFL Front Office Insider Louis Riddick, NFL Insider Adam Schefter, and NFL Draft Analyst Todd McShay. The full broadcast schedule for this weekend’s NFL draft coverage across the ESPN networks is listed below. Along with its domestic coverage of the NFL Draft, ESPN International will carry coverage of the NFL Draft to more than 72 million households in 59 countries and territories throughout Latin America’s Spanish-speaking regions, the Caribbean, Australia, New Zealand, and the Pacific Islands. Canada will have coverage of the NFL Draft via TSN. Audiences in Mexico and Central America can get full coverage of the draft via ESPN’s ESPNPlay broadband platform. Audiences in Australia, New Zealand, and Brazil will be able to catch coverage of the NFL Draft online via WatchESPN while audiences in the rest of South America will get live coverage of Round 1 live online via ESPNPlay.